Blizzard has rolled out the red carpet for its next adventure “Karazhan” which is scheduled to go live August 11th. The adventure puts players in the middle of one of the most lavish parties hosted by the wizard Medivh. Elegant decorations, food, and upbeat music are just some of the things that you’ll see. 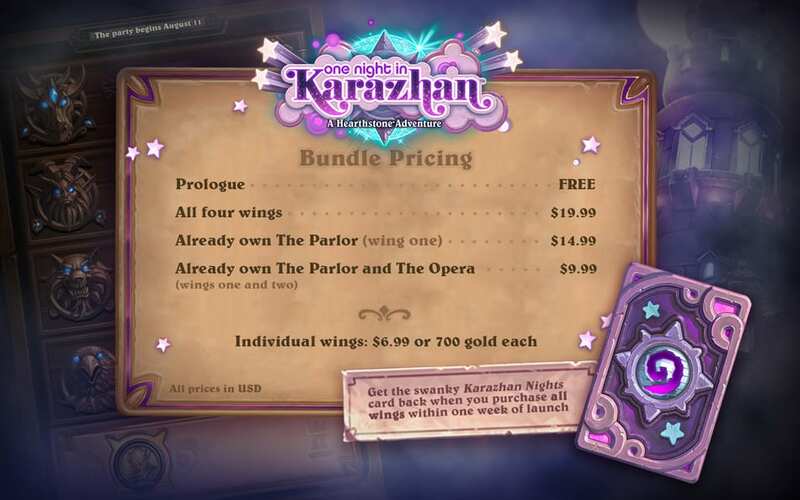 Karazhan is trying something different in the fact that the prologue will be free to all players, so everyone will get a chance to experience the adventure that awaits. Karazhan will introduce 45 new cards, new class challenges, as well as new game boards for party goers. The full list of cards for the adventure has not been released just yet, but as soon as it releases we here at GameLuster will give you an update. August 11th can’t get here soon enough and I look forward to seeing you at the party. If you missed the release, here’s a link to Hearthstone’s live Twitch stream that released the info.